Some Bronx residents are claiming that Alexandra Ocasio-Cortez has abandoned them and aren't representing their interests while she's busy fighting for her Green New Deal. Ocasio-Cortez has been making national headlines for her efforts on behalf of the environmentally-friendly Green New Deal — her first piece of legislation — since she submitted it February 7, just over a month after she was sworn into office. Residents of Ocasio-Cortez's 14th district in her New York City hometown told the New York Post that since she took office, they haven't been unable to get the US Representative to pay attention to pertinent local issues including cleaning up parks and sorting out mail delivery issues. Local activist Roxanne Delgado, of the Bronx, said that she had been calling Ocasio-Cortez's Washington DC and Queens offices in hopes of enlisting the newly-minted Democratic representative's help in trying to clean up local parks and save an animal shelter in the district. 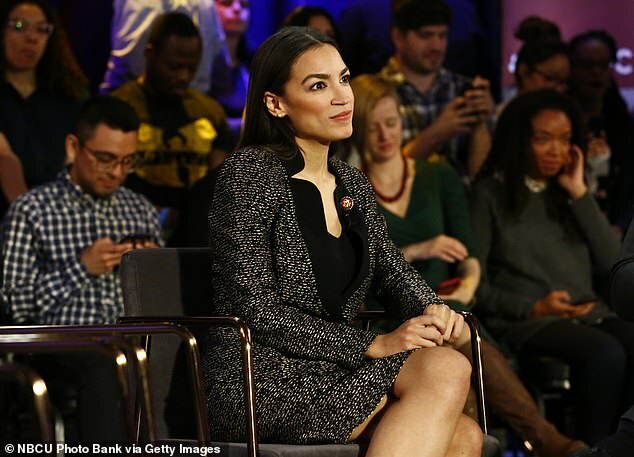 Delgado said that the calls, as well as a series of tweets directed at the 29-year-old's popular personal Twitter handle, have gone unanswered and claimed that Ocasio-Cortez's DC office phone line goes unanswered and that the voicemail was full. Another of Ocasio-Cortez's constituents, Bronx-resident Anthony Vitaliano, told the Post that he is hoping to get Ocasio-Cortez to throw her weight behind the community's efforts to get Amtrak to remove graffiti from some of the rail company's property in the neighborhood. And, during a community meeting in February, Vitaliano said that Ocasio-Cortez should attend a sitdown meeting with USPS official as they work to solve issues being had with mail delivery in the area. When a constituent tweeted at Ocasio-Cortez to add Bronx neighborhood Parkchester's post office to her list, she responded by saying that she was looking into that particular location. Vitaliano, however, said that despite Ocasio-Cortez's mail tweets and the fact that a representative from her office went to look at the Amtrak graffiti, he is still having problems with mail delivery and the graffiti is still there. Delgado, meanwhile, noted that the animal shelter was ultimately saved, but that it was only due to intervention from the City Council and Mayor Bill de Blasio's office. 'I thought AOC would be our savior, but that’s not the case,' Delgado said. Vitaliano told the New York Post that Ocasio-Cortez's predecessors were much more attentive to local issues than she has been so far. Ocasio-Cortez opened her Queens office on March 4, but does not yet have an office in the Bronx, supposedly due to an inability to find a suitable location. She previously told the New York Post that was 'taking baby steps' and 'adapting according to community feedback' regarding instituting more and regular office hours in the city. Ocasio-Cortez recently spoke out about how she and her office have been receiving increasing numbers of death threats, which she believes correlates to disparaging statements lobbed against her by right-wing media organizations. 'There’s clearly a correlation between the intensity of Fox News and Breitbart and all those folks and the amount of threats that we get,' Ocasio-Cortez said on March 21, according to the New York Daily News, which reported that her Washington, DC-based staff recently had to receive risk-assessment training from Capitol Police.